Tea is more than just a drink. For the Chinese, it is a living art and culture. There are endless subjects to learning Chinese tea art, namely identifying the tea, brewing, tasting, ceremony, history, presentation, and the list goes on. Adapting tea art as part of your hobby and incorporate tea drinking into your daily meal is a positive and healthy approach in your lifestyle. 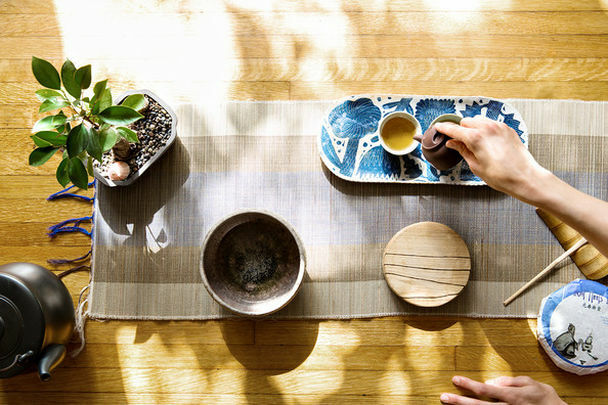 Unlike the Japanese tea ceremony, the Chinese tea is an art that represents your style and it has no formalities. Start your tea collection with green tea leaf. It has the highest consumption in the world due to its flavour that is widely accepted by everyone. 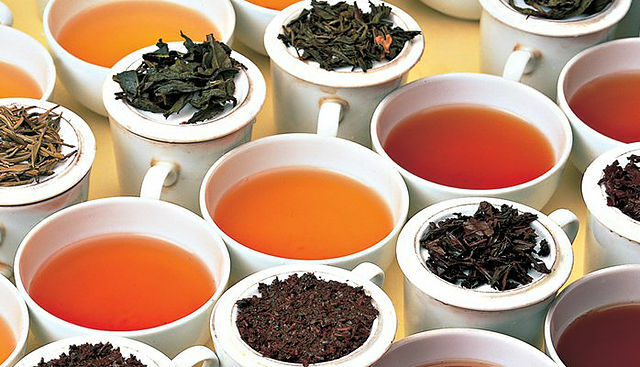 For a variety of aroma, go for oolong tea. However, oolong requires a meticulous way of brewing to bring out the best of the tea. Consult your tea supplier for more info. Not all teapots are suitable for the different types of tea. Invest in purple clay teapot or glass teapot for a more general option. Gunmetal teapot are usually used for flavoured tea such as jasmine green tea or brown rice tea. The fair cup purpose is to hold the brewed tea. Transport the tea from teapot into the fair cup so that the tea don't over-steep. Porcelain or glass teacup are easier to pair with different types of tea. Alternatively, you can purchase tea set which consists of teapot and tea cup that made from the same clay. The generally accepted teacups are also made from purple clay. For a better presentation, you require a tea tray to hold the tea remains and also to display your arrangement. Depending on the tea setting that you like, there are a lot of sizes and styles for you to choose from. This unique name represents the 6 utensils needed for your tea preparation. 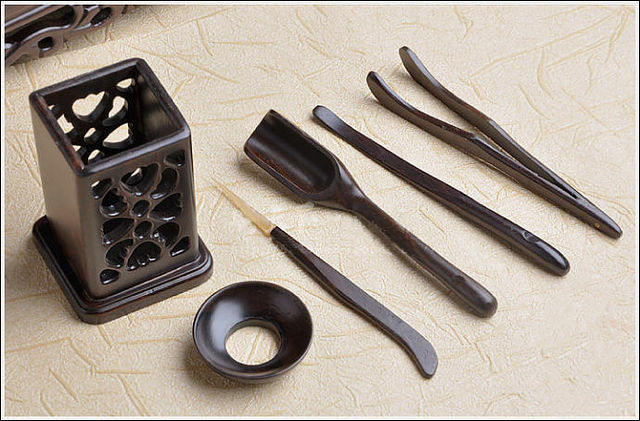 It is consists of a spoon (to scoop tea leaf from the canister), a funnel (to facilitate tea pouring), a tweezer (for assistance when the tea cup is too hot to handle), a scrapper (for cleaning), a poker (to poke through tea leaves that stuck on the sprout of the teapot) and a needle (for cleaning). Lastly, tea pet (decoration) may be added to your tea setting depending on the end results that you want to achieve. The tea pet figurines are usually made of purple clay or porcelain. Alternatively, you can opt for a plant or crystals. There is no rules to the tea setting. Due to the popular minimalist approach, a lot of tea follower have adopted the style into their tea art by eliminating some of the tools.